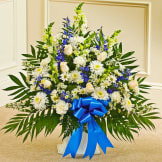 Send a beautiful expression of your love and support during this difficult time. Thank you for the prompt service. The basket was pretty however the great grandfather ribbon that I asked to have put on the basket was not there. That was upsetting. 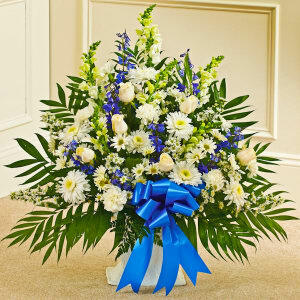 The flower arrangement was nicely put together but not as full as the picture indicated when ordered. Although pretty, the arrangement is not the size as represented in the photo shown or description shown. 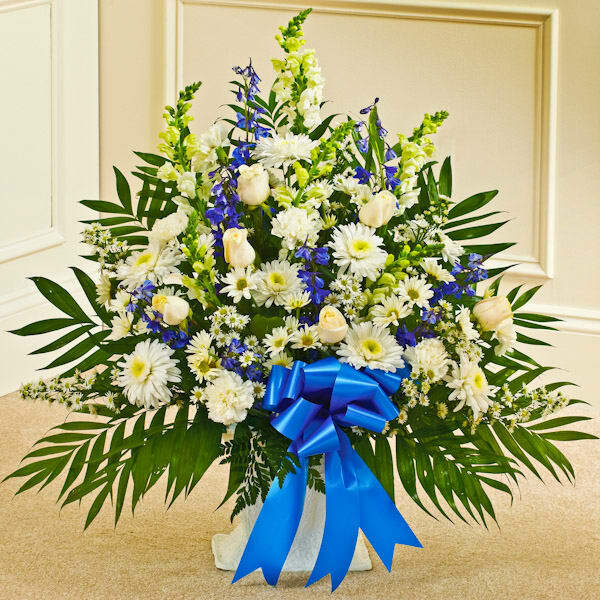 We ordered the deluxe and the only white and blue arrangement at the service was approx. 20" x 15"...which is much smaller than the description. This arrangement got more comments from visitors than almost any other one. 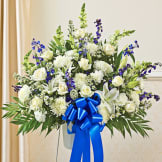 The beautiful white with the sprinkling of the blue florists iris and the blue bow is really eye catching and beautiful. Simple but elegant. 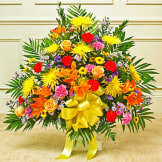 You cannot go wrong wth this arrangement.